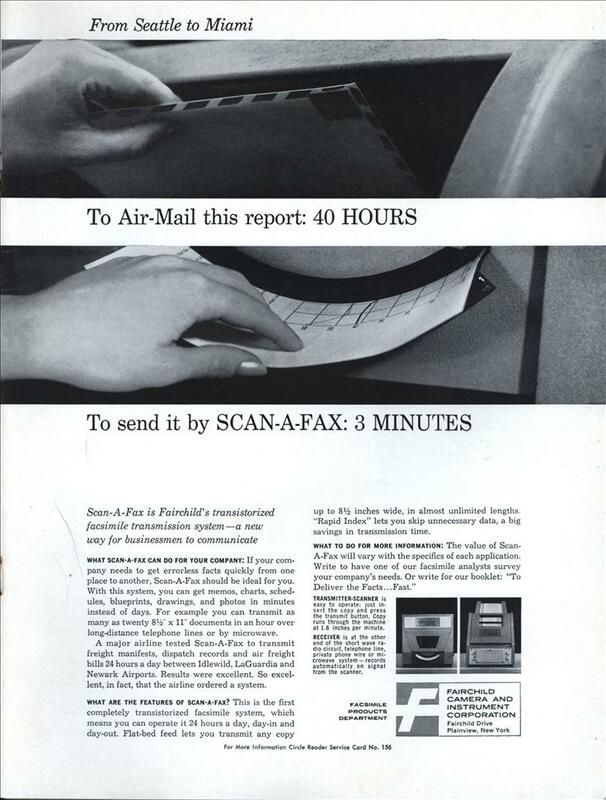 A major airline tested Scan-A-Fax to transmit freight manifests, dispatch records and air freight bills 24 hours a day between Idlewild, LaGuardia and Newark Airports. Results were excellent. So excellent, in fact, that the airline ordered a system. WHAT ARE THE FEATURES OF SCAN-A-FAX? This is the first completely transistorized facsimile system, which means you can operate it 24 hours a day, day-in and day-out. Flat-bed feed lets you transmit any copy up to 8-1/2 inches wide, in almost unlimited lengths. “Rapid Index” lets you skip unnecessary data, a big savings in transmission time. Fax machines had been around for a long time before their sudden burst of popularity in the 1990s. I wonder what made people start using them so much then. Was it the drop in the cost of long-distance phone calls due to deregulation? Was it the drop in the cost of the machines themselves? Mass manufacture and microcomputer electronics allowed the modern fax machine to exist. I’m sure it was both the drop in the cost of phone calls as well as the drastic drop in cost of the machines, due to integrated circuits and mass production. Furthermore, there’s a the fact that, the more fax machines are out there, the more useful it is for you to get one. In the early days, there was some usefulness in getting a pair of them for transmitting between offices owned by the same company, as described in the ad. But once they became fairly common, you could use them to send papers to anyone — your banker, realtor, lawyer, customers, the pizza delivery place, etc. So they became much more useful, and everyone had to have one. 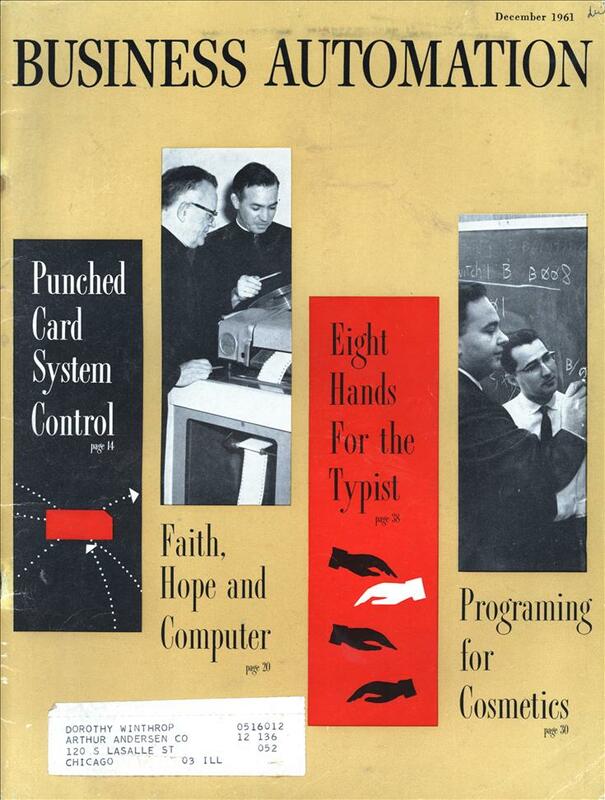 It makes sense that there would be a whirlwind rush to mass acceptance once a critical threshold was reached. A similar phenomenon happened with telephones earlier, and later with e-mail. I used to love watching the weather maps come in on the rotating drum fax machines in the early ’60s. I never used to imagine they’d use the same awkward technology in an office – then I found out about how they copied documents before Xerox. Yikes! Richard is right – you need ‘critical mass’ to make many technologies bloom.